This super-concentrated whole food blend is exploding with a variety of vitamins, minerals, carotenes, protein, and omega-3 fatty acids. The REBOUNDAIR meal replacement contains a proprietary blend of the world’s most phytonutrient-rich berries and energy-boosting concentrated super greens. 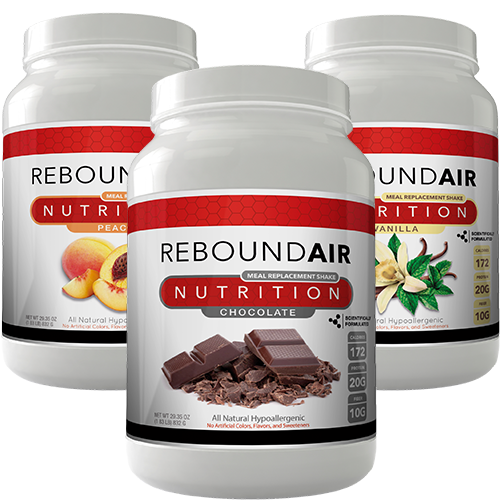 Fortified with natural occurring Prebiotics and Probiotics for healthy immune function and over 74 real food-based trace minerals for healthy pH balance, the REBOUNDAIR meal replacement is the BEST whole foods meal replacement on the market. Because we are bombarded daily with toxins from our environment and the foods we eat, our immune systems and lymphatics are under constant assault. Rebounding provides the best known exercise for our lymph system. Coupled with the REBOUNDAIR meal replecement you are on the road to optimal health and vitality. 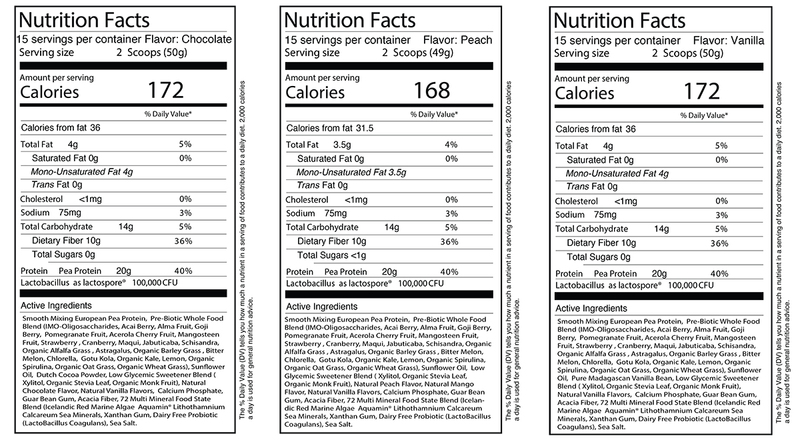 Wow, Let me just say that peach shake is the best protein/meal replacement shake I have ever tasted! I’ve been so impressed with your new shake and how it tastes and makes me feel. Usually protein shakes taste chalky and upset my stomach but that’s not the case with this one.